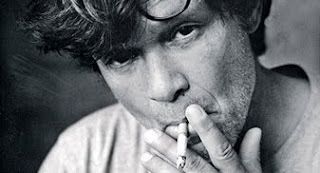 John Mellencamp's son, Speck, has set up a Facebook Page to convince his four-pack-a-day father to quit smoking. "I made a deal with my dad that if I get 1,000,000 to join this group he will quit smoking" he writes. Having conducted strenuous investigations into the supposed link between creativity and addiction and finding none, this blog heartily applauds such efforts and invites readers to join Speck.